The White House announced Friday that President Trump has signed an executive order imposing new sanctions on Venezuela. The action bars U.S. citizens and banks from buying new bonds from the Venezuelan government or its state oil company Petroleos de Venezuela, or PDVSA. The order also limits the trading of some existing bonds that are owned by Venezuela's public sector. "We will not stand by as Venezuela crumbles," the White House said in a statement. Shortly thereafter, the U.S. Treasury Department froze all of Maduro's assets subject to U.S. jurisdiction and prohibited all U.S. citizens from dealing with him. 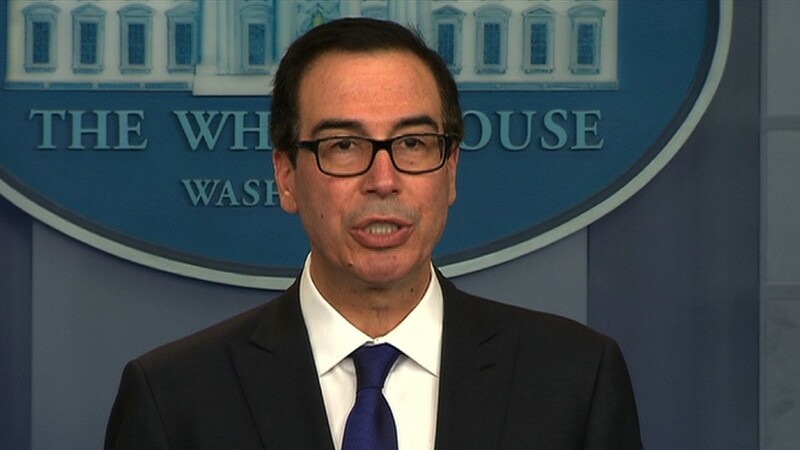 The goal of Friday's sanctions is to protect the U.S. financial system "from complicity in Venezuela's corruption and in the impoverishment of the Venezuelan people." Venezuelans who oppose the regime argue that when banks buy the government's bonds, they extend a financial lifeline to a dictatorship. Venezuela is currently in crisis. It has been rocked by street protests against Maduro's government, which has moved to consolidate power and silence the opposition. And the economy is spiraling out of control, with rampant inflation causing severe shortages of food and medicine for the nation's 30 million people. "It's a strong message for the people of Venezuela and it's a strong message to Maduro," U.S. Ambassador to the United Nations Nikki Haley told reporters at a briefing. Venezuela's foreign minister Jorge Arreaza condemned the sanctions in remarks made to press outside the United Nations building in New York. "Maybe the United States is trying to create, to promote a humanitarian crisis in our country," he said. "The US wants to be authoritarian and govern Latin America," he added. Haley said she had not been invited to speak with Arreaza when asked by CNN's Richard Roth. Earlier this month, one bank -- Credit Suisse (CS) -- banned its bond traders from buying two specific Venezuelan bonds from the government and from PDVSA, citing the country's "political climate." The move came after Goldman Sachs (GS) was criticized for buying Venezuelan government bonds in May. Transactions involving only Citgo Petroleum, a U.S. subsidiary of Venezuela's PDVSA, are specifically exempt. The group donated $500,000 to the president's inauguration committee in December. On August 11, Trump told reporters that military recourse in Venezuela is on the table. "We have many options for Venezuela. And by the way, I am not going to rule out a military option," he said. The president's national security adviser, H.R. McMaster said at a press briefing on Friday that the president has asked him to evaluate all options, anticipating "further deterioration" of the situation. But he walked back the possibility of military action. "No military actions are anticipated in the near future," McMaster said. Last month, Maduro's government held a vote to replace the opposition-controlled National Assembly with an entirely new legislature filled with his supporters. Social unrest and violent protests have left more than 120 dead. -- CNNMoney's Patrick Gillespie contributed to this report.